Trussardi tapped Yuko Shimizu to draw the characters and scenery for "Sky Watcher," an animated short that marks the 40th anniversary of the fashion brand's greyhound logo. "The greyhound is a distinct symbol of curiosity and elegance with a vein of irreverence, which is why we decided to celebrate it in a modern and fun way," said creative director Gaia Trussardi in a press release. "Working with [director] James [Lima] on the base of Yuko’s illustrations turned out to be a great experience, also thanks to the technologies that allowed us to work together to create this film without leaving our bases in Milan, New York, Los Angeles, and Tokyo." In total, Shimizu submitted close to 100 visuals, after sketching each by hand, asking an assistant to color and scan each, and perfecting them herself in Photoshop. "For a single character, I would do the front, back, side, and a few other variations," she told B&A. "I designed about ten different buildings and they were recreated and put together to form the city." The film was unveiled December 4 in Tokyo, then Milan, and on Trussardi.com the following day. 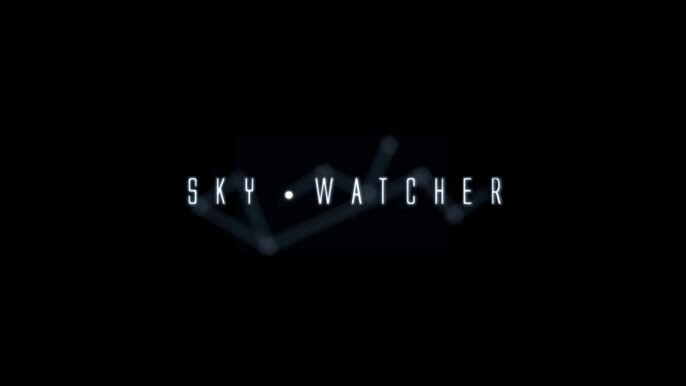 "Sky Watcher" is the artist's first 3D-animated project. "My work appears mainly in or on magazines, newspapers, and books, and I have total control – not necessarily in terms of art direction, but I start and finish it. I couldn't imagine my work moving; I couldn't imagine my flat drawings in three dimensions," she explained. "With this, I sent it off [to James] and he did a wholly separate job, and I didn't know how it would turn out. But I think if I want to take my work to the next level, there are limitations to what I can do and the key is collaborating with other professionals. It's scary, yet exciting at the same time."